Maintenance Repair and Overhaul (MRO) businesses are set to witness stunning growth over the next few years. However, the aviation companies that provide those services must navigate a rocky (and often uncertain) landscape to thrive. Due to new technologies, continued consolidation, and emerging markets, the Aerospace & Defense (A&D) industry is currently experiencing robust growth and unprecedented changes. These developments have transformed the risk landscape, making supply chains vulnerable to disruptions. In order to grow, these A&D companies must smartly and accurately position themselves to capitalize on the new opportunities that are coming from the MRO supply chain. Disruptions in an aviation company’s supply chain can equate to millions of dollars in losses, so the stakes have never been higher for A&D companies to navigate the changes, ensure business continuity and position themselves in the broadening market of rich opportunities. 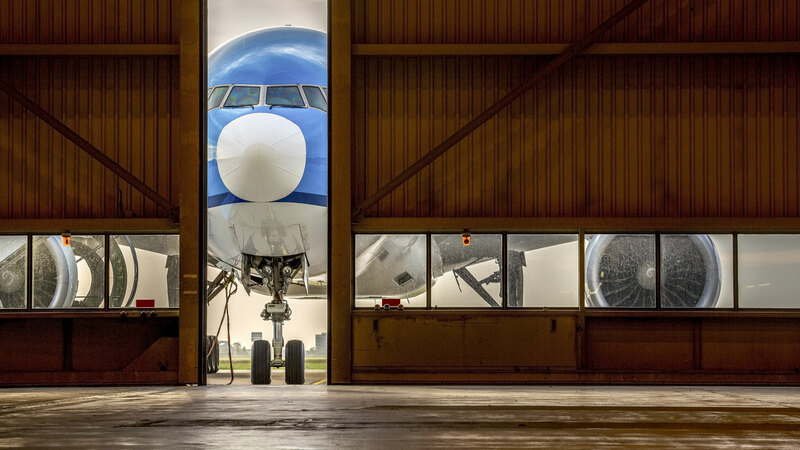 Here are five MRO supply chain challenges that aviation companies need to prepare for. Effective MRO in aviation requires the sophisticated coordination of suppliers, parts, inventory levels and logistics. Pay attention to inventory. On the one hand, if a company has too many supplies, then they are unnecessarily using up space and may find themselves with an excess of antiquated aircraft parts as technologies change. On the contrary, too little inventory easily leads to severe delays and may result in expedited shipping that can cost a lot of money. MROs must identify a course of action to balance their inventory holdings efficiently. One way to approach the issue of inventory management is with predictive analysis. By relying on big data, this method of analytics develops time frames and figures for restocking based on projected needs. Predictive analysis is a growing and tested technique for managing inventory, and well worth considering as a tool in managing inventory effectively. With the opening and expansion to new markets, A&D companies need to rethink their strategy for ensuring that the right parts are in these new locations around the globe at the right time. Think of it this way: the A&D industry is currently shifting from a steady-state production model to a build-to-demand model that will require a significantly higher level of supply chain agility. It is a significant challenge for aviation companies to keep the right parts and tools on the correct flight lines and in the accurate repair depots. A focus group survey of key U.S-based A&D firms showed that according to nearly 30% of survey respondents, the top challenge A&D companies face in optimizing their MRO supply chains is managing the complexities of getting parts to where they need to be on time. In response, many aviation companies are changing their MRO efforts to address these changes by ramping up spare parts replenishment activities, taking more control over the logistics of getting parts to the aircraft, and expanding their share of the flight line. Aircraft fleets are becoming larger, while at the same time airlines need to replace aged equipment. A substantial and rapid increase of the global share of aircraft in service is expected to come from Asia. Today, the Asia-Pacific region accounts for more than 20% of the worldwide MRO market. Due to the low labor costs in this area, there is every reason to expect this market to stay strong. These new and growing markets cause problems. Emerging markets with rapid fleet growth such as the Middle East and Asia/Pacific have an aftermarket that tends to be fragmented and uncoordinated. In addition, and as is true for many industries, greater globalization also comes with inexperienced workforces, immature logistic networks, and regulatory oversight challenges. These new challenges and will transform how aircraft operators make decisions about their MRO supply chains. These growing new markets also impact the global supply chain, and can have implications for where and how MRO business is conducted. Companies may need to reconsider the locations of facilities, staff, and where it makes sense to manufacture of parts. In addition to rapid fleet growth, customer expectations are rising as more competitors enter the market, offering the customer more choices. Downstream customers, including governments and passengers, now expect minimal flight disruptions. Aviation companies need to be acutely aware of approaching shifts in the market, and to quickly adapt to these changes, in order to deliver on high customer expectations and to position themselves to take advantage of these shifts. Keep a close eye on customers, an even closer eye on competitors, and be alert for new technologies that can help connect you to your customers and your suppliers. By being attentive to your customers’ needs, and being better connected with your trading partners to serve those needs, you stand to build trust and loyalty from both your customers and your trading partners. One of the best ways for aviation companies to succeed in times of rapid (but unpredictable) international growth is to build and cultivate global partnerships with forward-thinking and reliable suppliers, logistics and technology providers. While working with strategic partners, MRO providers need to be stay informed, agile and responsive in order to keep abreast of changes in the aviation landscape. Some of the most important changes to stay in tune with that affect MRO providers are: evolving planes and designs, more durable parts, new schedules of maintenance, and more efficient engines. Key logistics partners can help manage storage, move spare parts through networks, monitor inventory, and establish operations in new regions to meet increased customer demand. That being said, while logistics providers are essential, they must also offer a full breadth of capabilities. The future of MRO looks bright, and the potential for growth is significant. Demand for MRO services is undoubtedly on the rise, and it’s coming from new regions. However, because today’s aviation and aerospace industry supply chains are global, highly complex, and more vulnerable than ever, aviation companies have to be prepared and ready to adjust quickly to new demands. MRO providers can either win big… or lose big. It all depends on how well they execute these strategies.